SVEI is a full-service sheet metal fabrication company, supporting the needs of companies involved in custom metal fabrication and heavy steel fabrication. SVEIFAB was started in 2003 by Fang at Fengxian District, Shanghai. Grown rapidly during 2006-2008, we have grown from a small CNC cutting shop to one of largest metal fabricators at Shanghai, while servicing customers all over the globe. 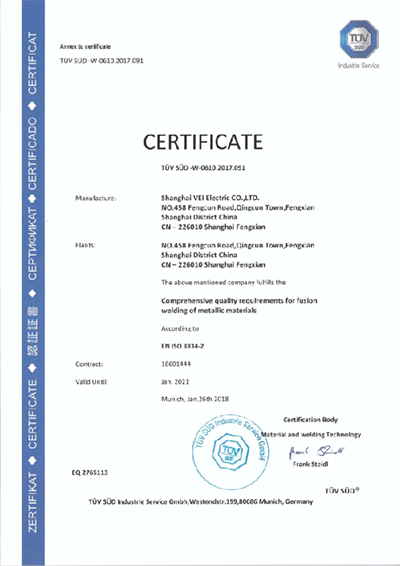 Established CSCM Metalwork Limited in 2011, who are specialized in precision sheet metal fabrication, and also take the responsible for overseas markets. Our goal is to become the most diversified specialty steel fabricating company in China. We are truly dedicated to the production of high quality custom steel fabrication with on-time delivery that meets or exceeds our customer’s satisfaction. • 2018, New assembly workshop came into operation and coating workshop finished upgrading and reconstruction. • 2011, Established CSCM Metalwork Limited, specialized in precision sheet metal fabrication, and also take responsible for overseas markets. • 2010, Moved to new building, area of 20000 m2. SVEI purchase full set of Amada machinery to develop machining accuracy. • 2006-2008, Grown rapidly on sheet metal fabrication. • 2003, SVEI was found in Touqiao Town, Fengxian District of Shanghai. 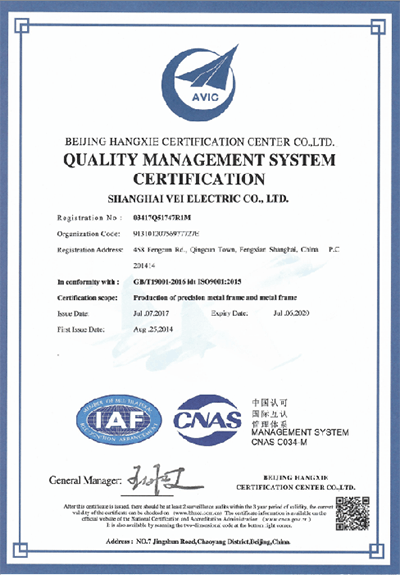 SVEIFAB have been ISO 9001:2008 certified since Nov.2014 and EN ISO3834-2 in Mar. 2018. Our welding engineer is CWI certified, 6 welding operatives are EN ISO 9606-1 certified. We hold ourselves to the highest standards, both in the products we manufacture and sell and in the way we conduct our business. The mission of SVEIFAB is to provide quality fabricated steel products and services at competitive prices. In accomplishing this, we treat our customers, employees and suppliers in a fair and equitable manner. Our goal is to establish a standardized and internationalized metal fabrication workshop with advanced equipment and management, to solve customized sheet metal fabrication needs. To our CUSTOMERS, we offer one-stop services of custom metal fabrication and precision heavy steel fabrication. Using a teamwork approach to fulfilling all customer’s diversified needs. Further, we strive to be a low-cost producer of quality products while maintaining the ability to respond to challenging markets. For our EMPLOYEES, we provide a enjoyable and rewarding environment to stimulate learning, teamwork and personal growth for all employees. For SVEIFAB, we must realize a reasonable profit to shareholder, employees and reinvestment for future competitiveness, to promote the company has considerable development and expansion.